I'd say the first thing is to establish exactly what karma is, because you'll hear different interpretations. To me, there is no such thing as 'good' or 'bad' karma. We don't intentionally manifest 'good' events necessarily because we do 'good' deeds. In the sense in which these statements are meant, there is no such thing as 'good' and 'bad'. These are simply egoic judgments of the learning engagement our souls have subscribed to. To the soul, there is no 'good' nor 'bad' just the opportunity to learn, evolve and grow. This can be achieved in both dense circumstances and light. To me, karma occurs where the soul becomes identified and therefore attached to the physicality of life. In other words, where the soul identifies with the illusion. This might happen for example where one is in fear during death or a particularly traumatic experience such as an accident. When the soul attaches in this way, then it essentially experiences the sense of disconnection from the source, loses a 'fragment' of itself in an eddy current, identifies with the illusion, takes on distorted behaviours and therefore deposits karmic energy within the causal body - within the fourth density. It is this karmic ballast that 'brings you back down to earth' again for another incarnation. Let us be clear, this is not a 'bad' thing in itself. It's purpose is evolutionary growth. As long as the soul is always learning and progressing, then it's fulfilling purpose. Generally it's my observation that people mostly experience karma in daily life. So the inner filter contained within the causal body projects this energy into the situations we manifest. It might happen within relationships for example. So now one's relationships are filtered and interfered with because of this karmic energy. The frustrating thing is that you don't necessarily see it. You'll often experience some form of disharmony without realising why? Karma is the cause of an incarnation. That's why if you're to successfully process it, the most essential thing is to accept we create all the disharmonious circumstances in our lives exactly because of the karmic energy we've stored. So we have to take ownership for what takes place in our lives, confront it and work with it, in order to advance through that blockage. You can also of course regress people through their karmic past lives which tends to speed up the process greatly. It can speedily remove disharmony in life and accelerate the Ascensionary process. Although it's my observation that it's best not to force karma, because that could leave a person processing wave upon wave of it when they might not yet be ready for the intensity of experience. 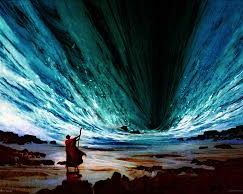 For certainty, Crossing the Red Sea of Karma is no joy ride (although the liberating expansion on the other 'bank' most definitely is!). Spiritual Facilitators will no doubt approach the processing of karmic past lives in different ways. If you can hold the energy and catalyse the movement of soul, then people will quickly regress. 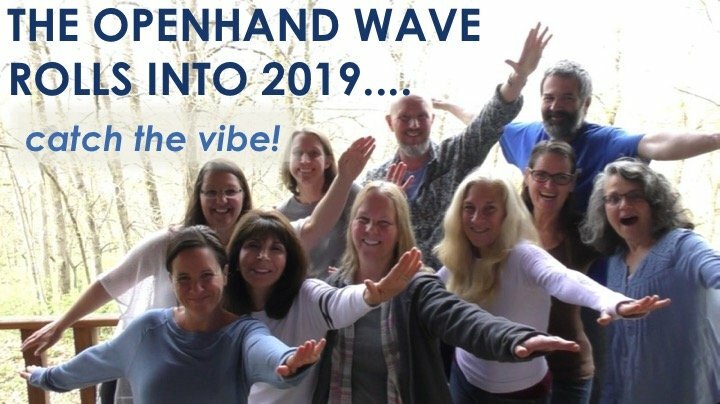 My approach is to journey people through the various lower densities of the physical, emotional and mental, calming them, easing them, before then guiding a journey across the karmic plain. This is where the 'waters' can get very 'choppy'. As people regress, the tide of uncontrollable emotion can arise rapidly. Suddenly people are seeing and feeling all manner of challenging circumstance. This is where you need a steady hand on the tiller, allowing the person to fully experience, yet reassuring them that this is all just an experience, that they are not the experience. It's a subtle blend between fully honouring the pain, but not being totally lost in it. At the point where one is able to fully accept this karmic reaction and soften into it, then the fragment of soul that was buried there, is reintegrated. The attachment is lost, the soul emerges, gorgeous senses of expansion occur, the soul flows free and heals the place where the restriction once was. We're now sailing a full breeze in the calmer waters of the Higher Paradigm. It's pure bliss. So whilst karma can generate fearful experiences it is not to be feared. All experiences are transitory. And we must transition them to truly integrate the wholeness of the One. When you contemplate for a moment the trauma of humanity's intense history here on Earth, all the wars, blood shed and violence, then it's no wonder we've stored the baggage of this within. That's exactly why life in society is currently so turbulent. The key is to accept this turbulence, not to retract from it. Going back into ones shell simply makes the shell persist and only get thicker. 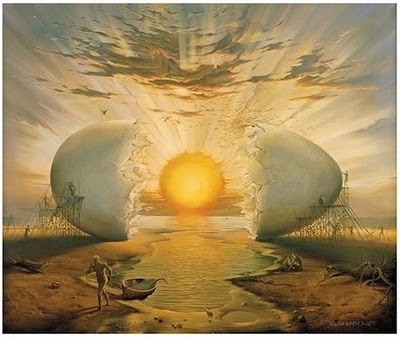 We have to break the shell to emerge fully on the shore of the Higher Paradigm. And this can successfully be done by a direct confrontation of the energy within. 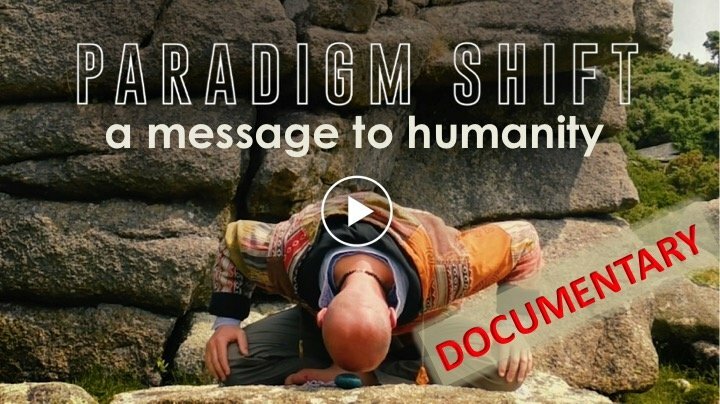 Taking ownership in this way and being positive, is a sure way to help humanity break through this limiting barrier, ease the passage and sail swiftly into the New Paradigm. Time to stir the breeze! 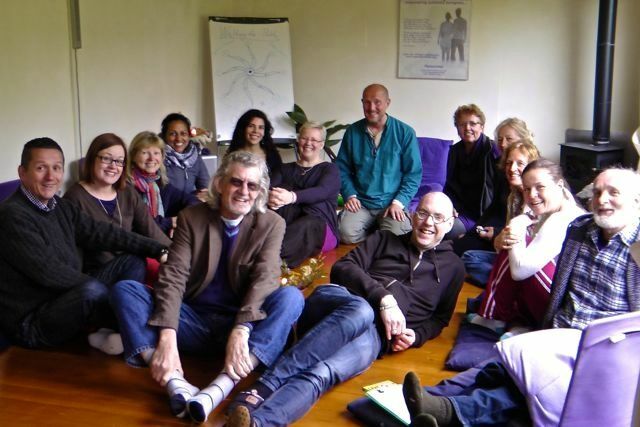 We're helping people regress into and process their karma on our various courses and retreats. 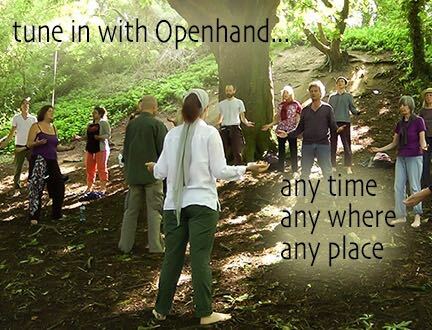 Check out the Openhand Events Section. I never understood this quote, it was 2007 when the book came out and I remember feeling bamboozled by this "shell" thing. As with all things, I let it go and carried on one step at a time, occasionally coming across the "breaking the shell" idea but the truth of it still eluding me. Now I'm just sitting here laughing my socks off. Yeah, yippee, I finally get it, and its so simple, what a laugh! (At myself) Ha,ha,ha.... And I give thanks for the mirrors who have helped me see it so that now when I read it - I KNOW IT. What about other beings/races who see Earth as place of biological resources? (and already read 'Allies Of Humanity') and it seems to correlate with my own nightly experiences with 'visitors' that are not very pleasant to say the least. Even if we make it through the changes on Earth alive, then still we most likely have to keep dealing with unwanted visitations. I really don't think it's as 'easy' as just to deal with Karma, evolve and that's that? Thanks for sharing - yes, you're right, it's 'not as simple as that'. But in a sense it is for humanity. There are all manner of benevolent forces now engaged in the intervention. In my experience, it's an ongoing phenomenon passed down through the eons of time. It's all about unraveling distortion at a cosmic level and realigning it with the source. The Opposing Consciousness that is here, is being successfully engaged and unwound. Strand by strand it is being evolved, realigned and relocated. Yet some are still resistant - the most dense 'raptor consciousness' of which I speak which has actually been here longer than humanity - although that doesn't make it 'natural' to this environment. But that is being engaged too. The embodiment of human and star souls sends out a realigning beacon through the field. As each person evolves his/her conditioned behaviours, it gives more wider encouragement to the Opposing Consciousness to do the same. Make no mistake, the Earth holds a very special place in the cosmos and will be reclaimed that the natural eco-systems can rebuild themselves over time. And that's going to require a very tumultuous cleansing process. What the Hopi Elders described as "The Great Purification". As the life energy ascends, it will leave space and time for the eco-systems to rebuild themselves again. That's what I see and feel from the highest levels of benevolence. 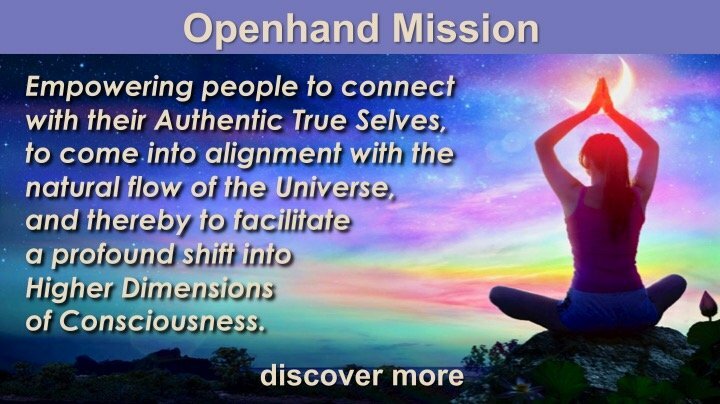 It's an ongoing realignment of energy bringing all places eventually to balanced harmony - what we might call 'nirvana'. I was in Glastonbury Saturday treating my mom to a vegetarian birthday lunch...She was checking the menu out inside (as we had her dog with us) while I sat at one of the tables outside. I was happily enjoying the fresh air (reckon I sniff an attachment to fresh air here) when a rather intimidating (to me at least) looking guy came and sat right opposite me on 'my' table and started rolling and then smoking a cigarette. I find that not too much triggers me these days and most experiences are perfectly ok just as they are but on this occasion as the smoke wafted my way I could feel all sorts of things going on within my inner world...immediately judgement was there...followed by a pinch (or two) of disapproval...definite resistance...a sense of pushing away and then...ANGER. I sat with the anger for a while as he smoked his cigarette, hoping to catch his eye so I could give him 'the look' I was clearly feeling brave with my anger. I eventually decided to leave rather than confront and so took my disapproval with me. I feel a bit uncertain in the experience not sure exactly what the invite was, whether it was expressing myself with compassionate yet respectful strength whilst allowing the angry but not loading the expressive energy with it or just feeling it and being awesomely ok with it and not wanting it to be different. I'm happy to just allow the clarity of experience to surface when it's ready but if anyone has any thoughts they are happy to share that would be most welcome too. An interesting incident indeed. It holds the possibility for many things to be experienced and possible outcomes. The danger with trying to interpret these things across the web, is the risk of getting into the head about it - "I would have done this etc etc" or "why didn't you do that?" So what instead happens for me now, is that I let my mind be open and allow attention to draw me to things. And these words drew my attention "hoping to catch his eye". Was it a soul impulse to actually engage the guy? Maybe the bravery was at the core of the anger? In other words, maybe that was authentic and an invitation to act in some way? But of course in these situations, you've got to keep watching the potential distortion or it can go 'pear shaped'! If one is given to engage, even in quite challenging circumstances, if we can do so without energy, I've often been surprised by the outcome. There's always the chance that we engage the soul in the other. It definitely feels like you're confronting some past life karmic incident. What would probably help is to sit in meditation and take yourself through the event again. See the images and feel the feelings. There'll likely be some kind of contraction in your body. You may feel the heart first, but then there'll probably be something elsewhere too. It will probably be a constriction around how the Ray 1 warrior energy wants to flow. My empathic attention is drawn to the head. But it could be other areas too - the base chakra and dantien for example. If we're still unsure what such an incident may be about, then we can always 'offer it back to the universe' with "show me". You're bound to recreate the situation in some other guise. Ah ha when I read 'hoping to catch his eye' back it felt like it came alive. And now as I reply I feel a degree of sadness for humanity...for myself and how I wish there was more open hearted engaging in the world, in my world. It feels sad how somebody could sit so close, begin to smoke in my space and not once look or engage with me...hmmm ok so there is an aspect of me that is probably being ignored. I have some homework (non-grasping of course). Thanks for the attuned feedback Open, I now remember feeling momentary sadness in the middle of the experience and popping back out of it within a split second. I felt to share some more about past life regressions - what are they exactly and how do they present? Firstly past life regressions only really start to happen when you've worked through a good deal of the lower inner densities and integrated soul through them - physical body, emotional and lower mind. Then there's enough expansion of consciousness to flow into the 4D causal body where karmic energy is stored. When you start processing, it could be that you have flash backs to the past life itself, and you may get glimpses of it. So it's a strong sign that's what's going on. However you could be in karma in day-to-day life without seeing any kind of flash backs - it could just be happening between you and those in your environment. How to know? Firstly you may slip into some kind of "cognitive dissonance", where suddenly you feel like you're in a different frame of reality and somehow the two don't connect. Now this doesn't necessarily point to karma, it could just be a temporary disconnect from the false self ego. But if the cognitive dissonance seems to have a reality construct all of its own, which seems to generate new patterns of behaviour and way of interpreting the world and people it, and where this happens quite suddenly, then you've quite possibly slipped into a karmic filter within. Some telltale signs are (1) you might feel sudden pains in the body for no apparent reason (2) particular chakras may come active (3) certain vocabulary and key words might spark off deep emotional reaction. If any of these things start to happen, you could well be activating and acting through an inner karmic filter. In which case, the important thing is to stop as soon as you can, and regress into the experiences - in other words, take yourself back through them in meditation. To then allow yourself to experience what comes up and to feel into it, to honour and express the tightness. The key is to then come to a place where you're completely accepting of what transpires - you penetrate through the experience with presence. This is when the roots of the karma dissolve and that fragment of soul which was stuck there is reintegrated.